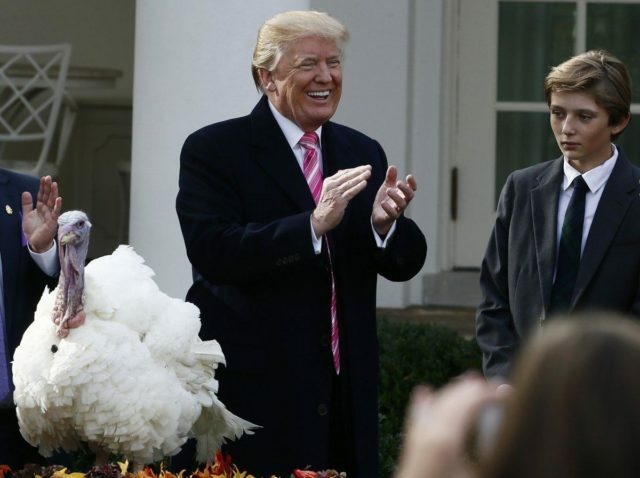 Donald Trump wrecked your Thanksgiving. No matter how good a time you think you had, rest assured you were miserable. Forget so many movies about family dysfunction have taken place on Thanksgiving since the 1970s. Forget even that Woody Allen made a cottage industry out of Thanksgiving family misery. Nope, it’s the Trump family’s destructive dysfunction that’s to blame for our family Thanksgiving dinner dysfunction say two university researchers, who used the data from a creepy company that tracks all of us all of the time. Apparently the President and political discussions made us (practically forced us, they determined) to spend less time at Thanksgiving family dinner than we normally would — 20-30 minutes less at dinner in 2016 than we in 2015. These egghead turkeys used data from the inappropriately named company, SafeGraph, which tracks all of us all of the time, to determine our movements on Thanksgiving.